An old fashioned garden shrub from eastern Asia sparingly escaped to edges of forests and roadsides and presumably also persisting in old homesites. First collected in Allegan Co. in 1967 by W. T. Gillis. Other species are cultivated and may also escape or persist. MICHIGAN FLORA ONLINE. A. A. Reznicek, E. G. Voss, & B. S. Walters. February 2011. University of Michigan. Web. 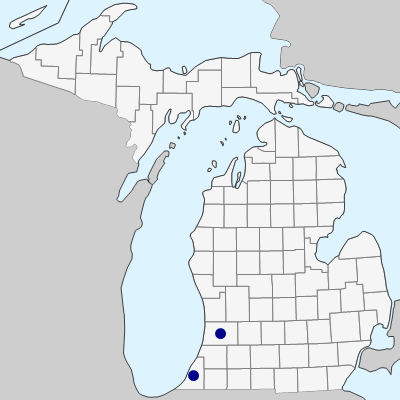 April 21, 2019. https://michiganflora.net/species.aspx?id=2858.